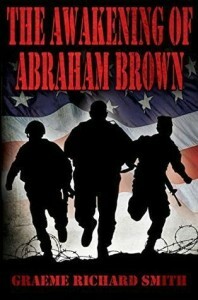 The following is a guest post by Graeme Smith, author of The Awakening of Abraham Brown. If you would like to write a guest post on my blog, please send me an e-mail at contact@cecilesune.com. The inspiration for The Awakening of Abraham Brown came through my own spiritual awakening which has been a culmination of the following things: yoga, meditation, life experiences, and over 30 years training in the martial arts. I wanted to write a story which highlighted man’s inhumanity to his fellow brothers and sisters and also the terrible destruction to nature and animals. The central character, Afro-American Abraham Brown, has faced racism many times in his native America, and he now finds himself thousands of miles away from home, fighting the Nazis, the biggest racists on earth. I needed to highlight the futility of war and to try and point out why some humans become racists and bigots. I also wanted the story to be balanced and to contain male and female aspects (yin and yang). Abraham is accompanied by two fellow white Americans whose lives are transformed whilst being with him. The story was also brought about through my own personal expression and thoughts which I hope will make each reader examine their own ethics and morals. It is a compelling story set during WW II and has a supernatural/spiritual twist throughout. Graeme Smith was born in Exeter,Devon in 1957. His father died when Graeme was just 18 months old. Together with his mother, brother and sister, they were forced to downsize and move house in order to survive (there was no benefits system in the late 1950's). This had a profound effect on all of their lives. Graeme has three children and two grandchildren. His hobbies and interests are Kenpo Karate, metal detecting, charity fundraising, collecting knapped flints and dog walking. Graeme now lives with his partner Ruth and springer spaniel Pickard in the East Devon village of Feniton.